Many of you might have already purchased Jio sim during preview offer. But everyone got disappointed when Reliance changed preview offer to welcome offer. Previously users were getting good speeds & there was no capping over data. But from 5th September, speed got reduced significantly & data capping was set to 4GB/day. After crossing this limit, user hardly gets speed more than 128 Kbps. 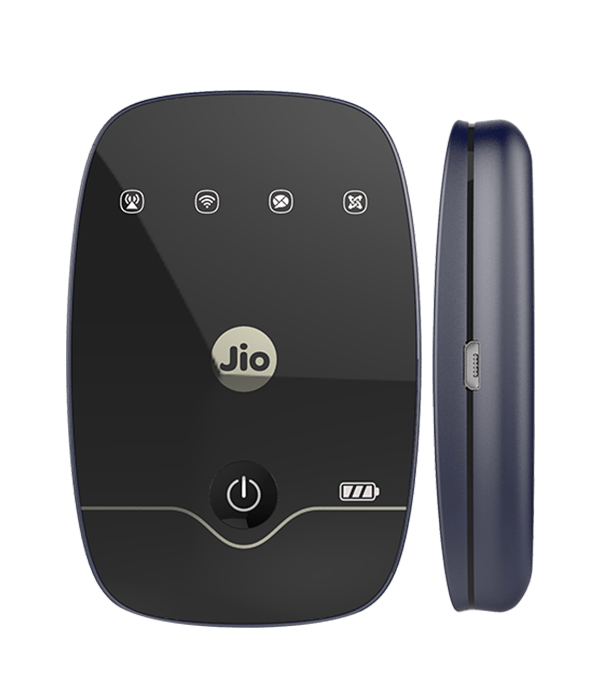 How to buy Reliance JioFi device online? Where can I find JioFi Password? How can I access my account on desktop? How to make free calls from phone using JioFi? Does JioFi comes with free sim? Can I use any other sim in JioFi? 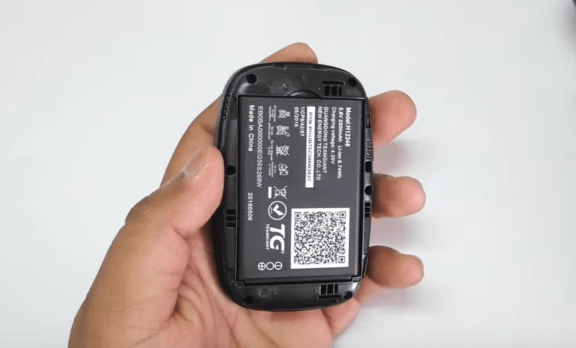 I have 2G/3G phone, can I make free calls? 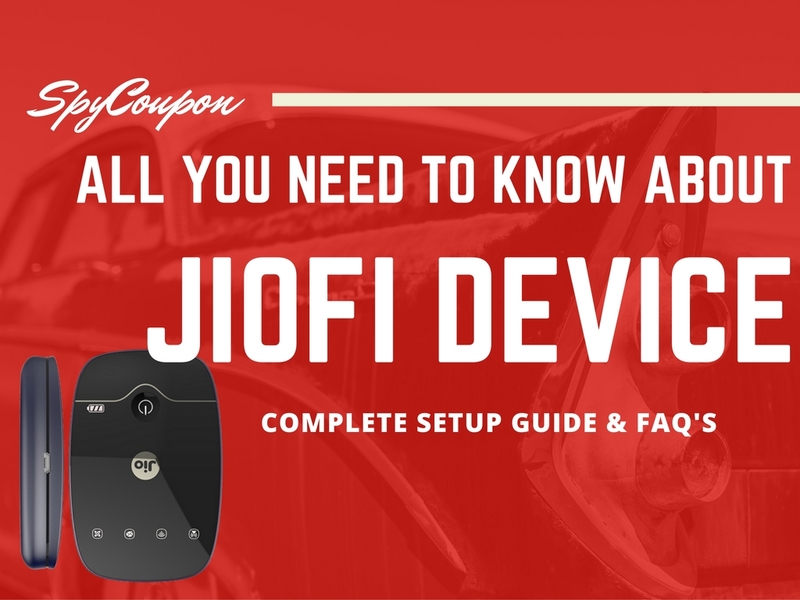 Are JioFi & Mifi different from each other? So, if you want to get rid off slow net speed then JioFi is great option. Here we will be discussing Jiofi plans, its pros, cons, features & everything you need to know about it. 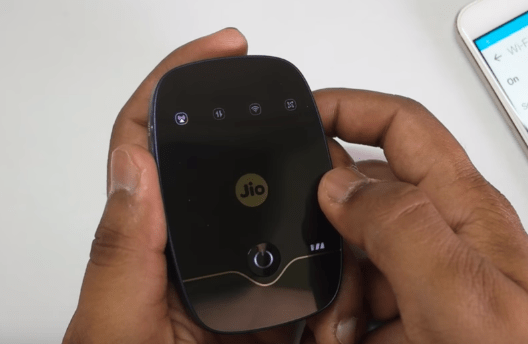 Jiofi is a small hotspot device made by Lyf in association with Reliance. You can carry it anywhere & enjoy high speed internet on your mobile through wifi. You can connect up to 10 devices simultaneously. How it is different than router? It’s a common doubt & I though to clarify it first. Router comes into picture when you buy broadband connection. It creates hotspot & you can connect any device after entering password. JioFi works same as router, only difference being it is smaller in size & portable. It needs sim card to access internet while router needs an internet cable from service provider. Also, router’s range is considerably wider than portable hotspot devices. What is different here when I can create hotspot though my mobile phone itself? If I have a Jio sim in my mobile then I can create hotspot & connect other phones to it. Yes you can do this but there’s a catch. As you know, Jio has changed plans & migrated existing users from ‘Preview Offer’ to ‘Welcome Offer’. Now instead of unlimited 4G data, users are getting only 4GB high speed data/day & rest at 128 Kbps. 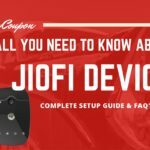 Do I really need JioFi device? You have single sim phone (with other network like Airtel, Idea sim) & want to enjoy Jio services. You have 2G/3G phone & want to get unlimited free voice & video calls. You don’t want to drain phone’s battery by creating hotspot. Jiofi comes with built in battery with good backup time. You want to enjoy unlimited Jio net without speed throttling. You can connect maximum of 10 devices to JioFi hotspot. It supports mini sim & has in built micro SD card reader. On the external side, it has micro USB port for charging battery. Battery capacity is 2800 mAh which can easily last for 6 hours or longer depending on the usage. JioFi device is available in 3 variants : black, blue & red. All of them are priced at 1999 Rs each (subjected to change anytime). You might have got tired searching JioFi on Flipkart, Snapdeal, Amazon & many online shopping sites. Unfortunately, you can not buy this device online. You have to visit Reliance digital stores to purchase one for yourself. Either way, some sellers at ebay.in are selling these JioFi devices but I can not give any guarantee about them. If you want, you can check out this link. Reliance is yet to roll out official plans for JioFi device & we will update it here as soon as possible. Every customer who buy this device will get ‘Jio Welcome Offer’ & he can enjoy unlimited 4G till 31st December 2016. After this period, new plans will be applicable. 1] Firstly you have to activate the Jio sim. Insert it in 4G phone & call to 1977 or you can also use an alternate number to tele-verify the sim card. We have written a complete guide on this procedure. 3] Place the battery & put a cover on it. 4] Press power on button & hold it for 3-4 seconds. You will see the symbols glowing. Wait until 1st symbol turns green. 5] Now turn on your mobile’s wifi which you want to connect to internet. Wifi password is given on the box itself. 6] Enter the password & your device will get connected to JioFi. 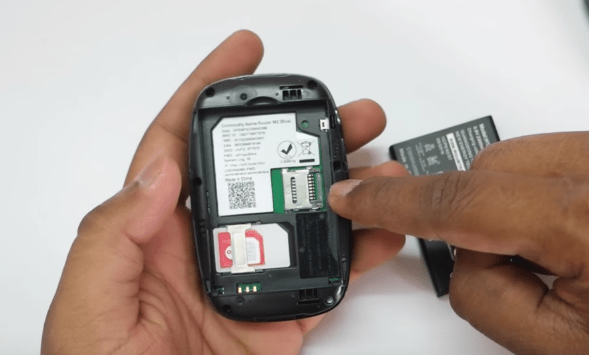 If you are facing any problems while setting up your device then just go through these working fixes. Wifi SSID & its password is mentioned on the box stickers. See above image for the reference. Turn on the wifi of your laptop & connect it to JioFi hotspot. Enter the password & click on connect. Press enter & now it will ask for username and password. After entering correct details, you will be able to access account & change device settings. If it is your first time, then pop-up will appear asking you to change the password. Click ok & you will be taken to new window. Or you can go to settings > User management to change it manually. Enter old password & below that fill in new password. Click on apply to save all the settings. 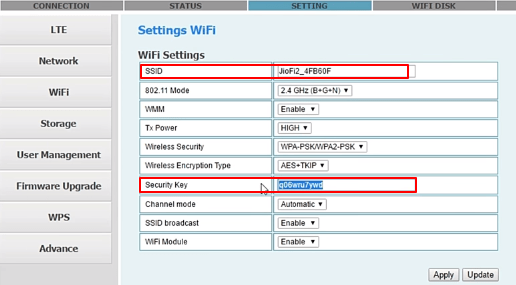 Login to your account through desktop & go to settings > choose wifi from the left sidebar. In front of SSID, type any name you want. It’s nothing but the name of wifi. Then type some strong password in front of ‘security key’. It will be used to connect mobile to hotspot. Click on apply & you are done! Download & install JioJoin (now renamed as Jio4GVoice) app on phone. Connect phone to JioFi & open the JioJoin app. It will ask you to enter OTP. It will receive on the alternate number which you had given at the time of purchasing sim. That’s it! Again open JioJoin & you will see a blue dialer. 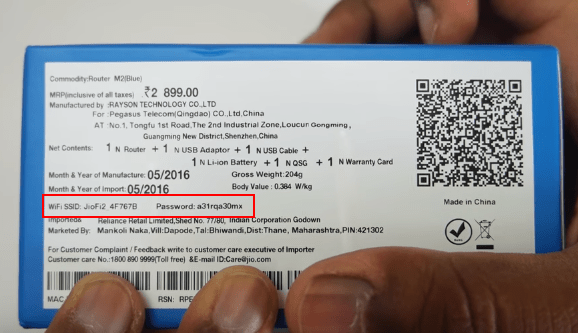 Actually, free jio sim is not the part of the box. But when you buy it from stores, employees will give it to you free of cost. 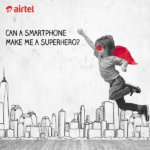 No, the device is locked & you can not insert any other sim (idea, airtel) in it. But you can expect some tricks in coming month to unlock this device. Yes, you can! You don’t need to have 4G device just install JioJoin & you are good to go. If you have any more doubts, feel free to ask. Just leave your comment & I will get back to you shortly. No! It’s a same device. When we say Samsung Galaxy, we didn’t mean that Samsung is different device & Galaxy is different device. Same is the case with Jio Fi Mifi. JioFi device does not give unlimited data anymore. Every Preview offers have been migrated to Welcome even in the JioFi devices. Limit is 4 GB only, capping of speed beyond it. I have taken Jiofi device and Jio Sim along with it on 19/09/2016. I am done with the authentication and other formalities regarding sim activation, but still there is no progress. My sim is not activated. I had called to customer care they are not recieving the calls. It has been 9 days now still the sim is not active. I will be very thankful to you if u look into matter as early as possible. I’m trying to configure Gio4voice on 3G phone via Jiofi, but its showing offline in the app, so not able to make call through Gio4Voice, what can be done. Note : only 1 device can use Jio4G voice calling at a time. Means even if you have 3-4 devices connected to JioFi, only 1 device can make calls trough Jio4GVoice at given instant. Secondly, you uninstall & reinstall Jio4Gvoice. This will surely fix your problem. Tried this stunt too… still showing offline, jio4Voice istalled on only one phone..
on calling 1977 with registard no its saying activated for voice & data..
How can we remotely manage jiofi device via internet? 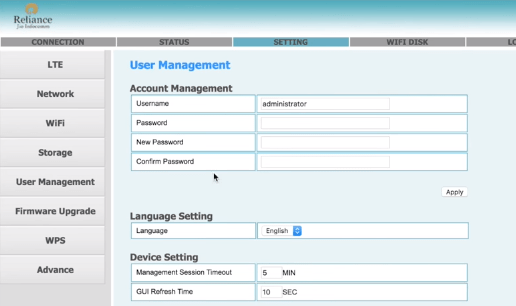 Means accessing the fio interface throughout the internet.? Getting offline status in Jio4gvoice after configuring therefore not able to place the call to 1977 to activate the voice. Any idea how to resolve this Offline status issue? doest the 4b daily high speed data cap apply on jiofi too ? ( using mine since 20aug) and today evening, i received sms that 4gb data crossed, speed reduced. if 4gb data cap is now also on jiofi devices, then it’s money waste . right? after sms , downloading speed has decreased drastically, although, it does get to 500,200,700 kbps in between for a minute or two …but browsing seems fine and youtube 1080p videos almost without buffering. One of our visitor had reported that there is no capping of data (almost 5 days back). If you have got message of 4GB cap, then I don’t think it’s worth money. But those who don’t own 4G device, it’s worth. Hi tEr i hv jiofi device and i hv installed jiojoin app but I could not place a call tat am I only able to call the particular jio network why can’t I place a call to other network ……..! can u please tell me the steps through which i can get the benefits of free voice calling on a 3g supported phone. as m havng jiofi hotspot device and now i only use its internet services. Install JioJoin app in phone on which you want to make calls. Then connect that phone to JioFi hotspot. Now login to JioJoin app using OTP received on alternate number. Once you successfully login, you can make free calls. Probably not! Because Jio hasn’t released JioJoin app for windows yet. So you will have to wait until they launch windows app.